The gates open at 4.00 pm giving you plenty of time to enjoy the atmosphere of this great event with the fire being lit at 5.30 pm and we will then be judging of the Guys at 7.00 pm. There is plenty of FREE PARKING close to the Village Hall and with the Funfair, Inflatables, lots of different foods, hot drinks, licensed bar and a live band after the fireworks - You are sure to have a fantastic time. Book your tickets now on 07719 005 928 or buy them from the SHELL GARAGE, ABRIDGE. There is so much to do while you wait for the Grand Firework Display at 8.00 pm. There are many different types of refreshments from hot dogs and burgers to Indian food or pancakes, hot drinks, fantastic bouncy inflatables and great fairground rides. If you fancy a tipple we have the licensed bar and we also have the fantastic 'The Issues' playing live! You just have to have a Bonfire at a Firework display. We most definitely have one of the biggest fires around that is lit at 5.30 pm and is a fantastic backdrop to the Firework display. The Bonfire is protected by barriers with fire marshalls and stewards on the scene to make sure the whole event is as safe as can be.This is a night not to be missed and gets bigger with every year that passes. Our Grand Display starts at 8.00 pm and promises to be bigger and better than last year, with Starburst Displays supplying a show that will light up the sky. But the evening does not have to end when the fireworks display is over! This year we have added even more attractions. Once the Display has finished we have a brilliant 4-piece band that will be playing live music from the 70s, 80s and 90s. The Fairground rides will be running until 9.00 pm too. Book your tickets on 07719 005 928 or buy them from the SHELL GARAGE, ABRIDGE. 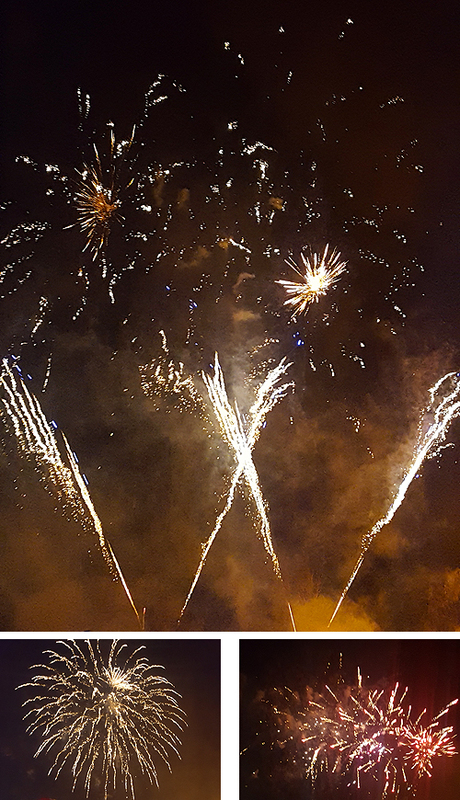 This year’s display on Saturday, 3rd November 2018 will be the biggest firework and bonfire event in the area. Taking place on the Village Hall field, all the profits go to local charities and organisations. Why not come along for a fantastic night out and help raise money for local causes. Gates and funfair open at 4:00 pm with the spectacular display starting at 8.00pm. This year will be our best-organised event with professionals manning the car parks and a security company on the gates and patrolling the field as an extra safety measure. Why not make a Guy and enter it into the competition. We have 3 cash prizes up for grabs. Just bring it along on the night by 6.45pm ready for the judging at 7.00pm. The bonfire will be lit at 5.30pm. £7 Adults and Kids £4. Call 07719 005 928 to order your tickets.